When I was a little girl I used to imagine what it would be like to be small enough to fit into my dolls house. I thought it would be so much fun to use the mini cooking equipment and sit on the tiny toilet! My Thumbelina imaginings have edged a little closer to reality with the beautiful Lola dolls house desk. The Lola is part of the new interiors collection by design house Atelier Sans Souci that gives children room to play and work. Your child can set up their favourite dolls and dolls house furniture and use the open space to pop their head in for a better look. 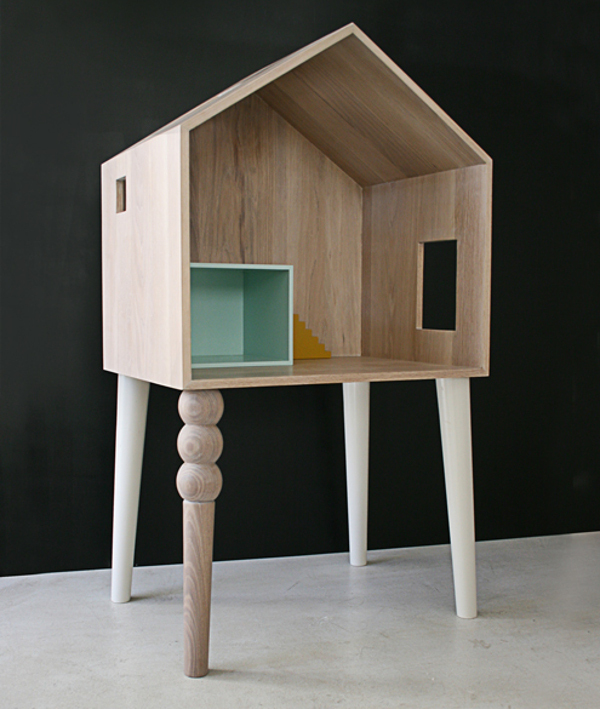 This handmade dolls house is like a cocoon that envelops and gives privacy to the child’s fantasy play. 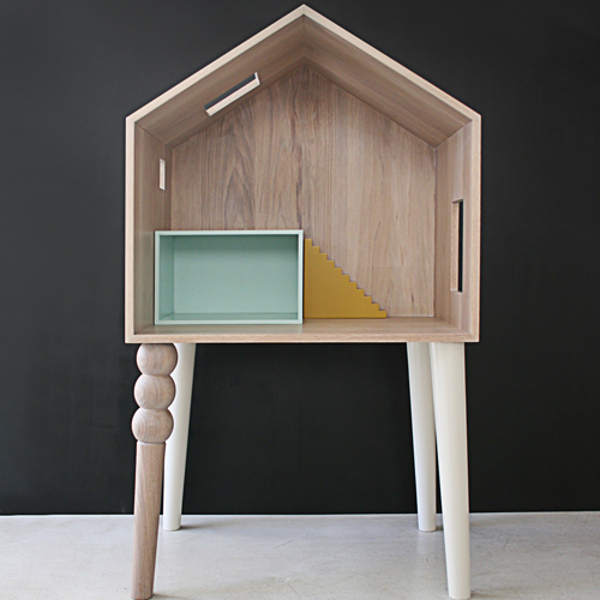 Made of oak and beech wood, the Lola includes a little green box and mustard-coloured stairs and sells for $1678. 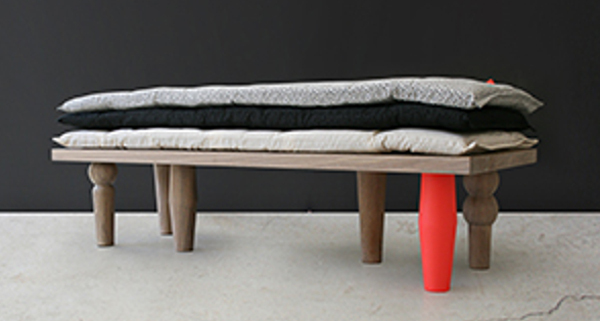 Also in the new Atelier Sans Souci collection for kids is the Mr Pea bench bed. Much like the Princess and the Pea fairytale, this classic handmade bed hides a secret surprise under its three mattresses. It costs $1444. 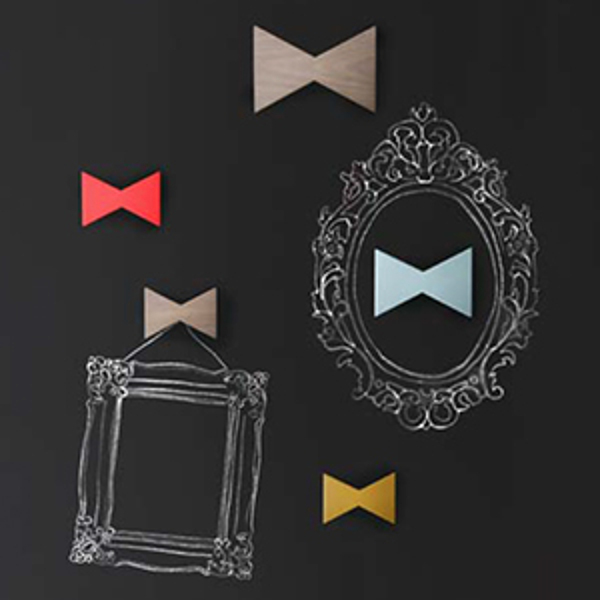 The Atelier Sans Souci bow hooks make storage a thing of beauty. At $42, they come in coral, natural, blue and mustard. A set of five comes in at $213. 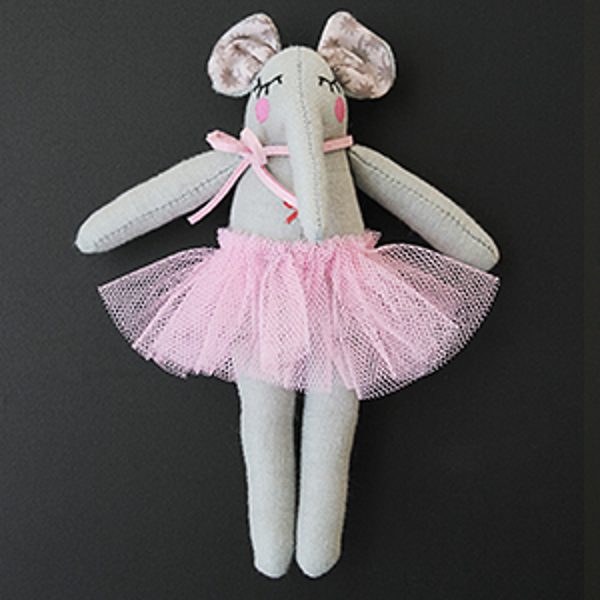 Rounding out the collection is the family set of soft dolls at $39 each. There’s a daughter, son, mama, papa, grandpa, grandma and even the family cat. The new collection by Atelier Sans Souci can be found at UK stockist Sisters Guild. Email them for an international shipping quote.